Ex Industries is the North American best source for flameproof Adaptors, Reducers and Stopping plugs, and thread conversion. Our hazardous area flameproof adaptors (also called, adapters*), reducers and stopping plugs are dual certified for both Exd flameproof and Exe increased safety applications. Our products are approved to the latest North American and International standards such as CSA, ATEX, IECEx and more. Moreover, Ex Industries maintains a very robust stock of Redapt product and other thread conversion products. The Redapt AD-U and RD-U Series of Adaptors and Reducers match-up electrical thread-forms on, what is known as hazardous area, approved equipment while making certain that the integrity and Ex approval of the installation is fully maintained. Quality assured: our adapters and reducers are made from hexagon material for easier installation, they are also come complete with a captive O-ring seal. The O-ring is located within a recess on the face of the product, helping to protect the O-ring from environmental damage and ensuring it is not displaced during installation. Our Stopping Plugs are used to seal unused cable gland or conduit entries in Ex approved Flameproof, Explosion-proof & Increased Safety enclosures, maintaining the hazardous location certification and the overall integrity of the installation. *Adaptor or adapter? Which is it? Both are correct. Because the manufacturer of our Adaptors are British, the generally accepted term for this (on the other side of the pond) is “adaptor”–using “or” at the end of the word. However, we in the U.S. and surrounding countries tend to spell it as adapter. But there are other terminology applied to this same product as well, such as “enlarger”. What is the difference between an adapter and reducer? Basically, adapters have a different thread size than reducers. 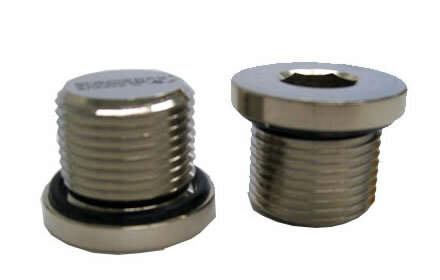 Adapters are used where the size of the thread of the connection devise or cable gland is larger than, or equivalent to in size, to that of the entry thread of the enclosure. 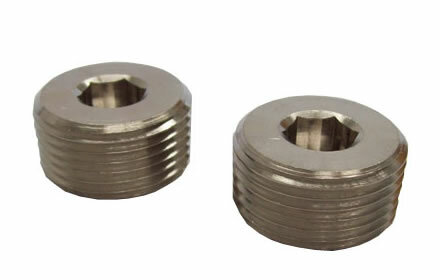 Reducers are employed where the size of the thread of the connection devise or cable gland is smaller to that of the entry thread of the enclosure. 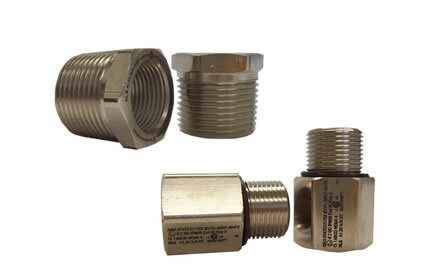 Ex approved Adaptors and Reducers are used to match enclosure entry threads with the cable gland or conduit when the threads differ, maintaining the hazardous location certification and the overall integrity of the installation. Click on the image for data sheets and technical information. Click on the image for data sheets and technical information. 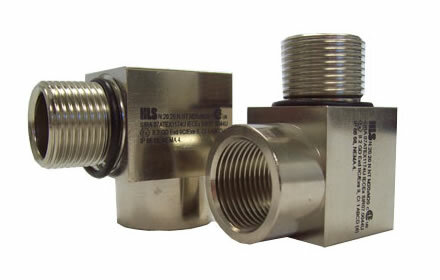 90° Elbows are used to allow a cable gland or conduit entry where spacing or orientation makes a typical installation difficult maintaining the hazardous location certification and the overall integrity of the installation. Click on the image for date sheets and technical information. Stopping Plugs are used to seal unused cable gland or conduit entries in Ex approved Flameproof, Explosionproof & Increased Safety enclosures, maintaining the hazardous location certification and the overall integrity of the installation. Click on the image for data sheets and technical information. Please click here for Breather Drains.